The new and improved toilet aid delivers a convenient toileting ability for those who are not able to access a toilet when required. 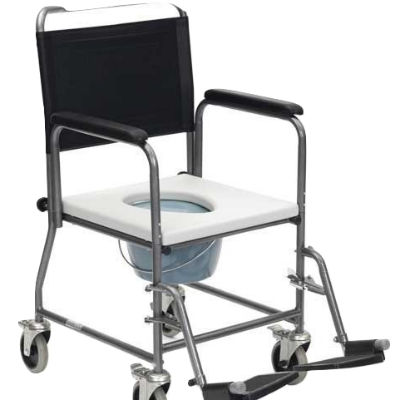 It is equipped with 4 swirling castors with all round brakes that allow a good position for the user who will be able to easily transfer during transportation to use over the toilet. It’s recess free castors also prevent water trapping. The heat sealed vinyl textured cushion provides great comfort and is ideal for users to use as an indoor portage chair. In addition to its comfort and support, the backrest gives the user the option to reposition when required.